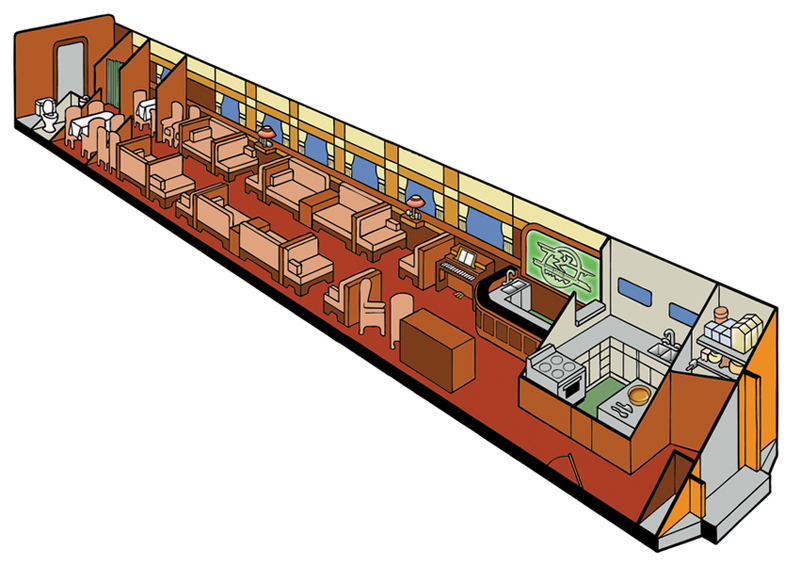 Lounge with dining area for six at one end and marble top bar at the other. Couch seating with several booth type tables. Full kitchen, new generator, electrical, HVAC, and fabrics. 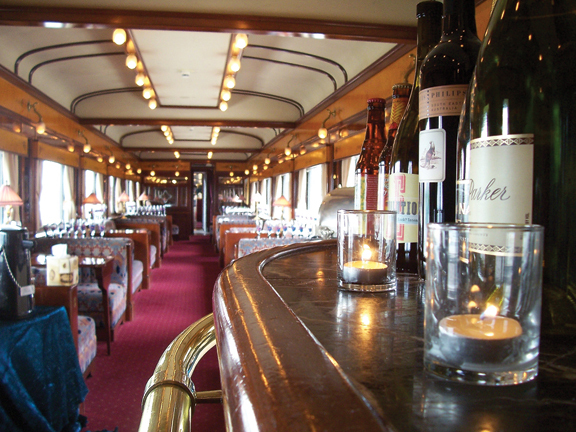 Exquisite car fashioned after Orient Express. Built by Budd in 1948, became Rock Island No. 364, renamed Duncan in 1957 and later used by Casa Blanca Ceiling Fan Company. Acquired by Ansco Investment Company in 1988 and was used in Ski Train private car service until 2009, complete rebuild to Amtrak PC-2 standard in 2011. Currently based in Los Angeles.